In honor of Black History Month, please join us at the Museum the evening of February 23, 2018 for a free screening of the wonderful film ‘Redtails’. 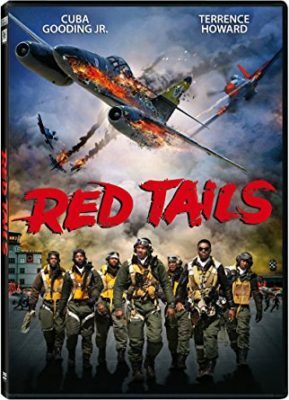 This feature with it’s all-star cast tells the story of the Tuskeegee Airmen, the members of the fabled all black 332 Fighter Group who against odds waged against them both at home and abroad managed to take the fight to the Germans with honor, bravery and dignity. *There is no admission charge to the Museum for the screening. *THERE WILL BE NO SEATING SUPPLIED FOR THIS EVENT. PLEASE BRING CHAIRS, MATS OR BEACH TOWELS. THE MUSEUM FLOOR IS CONCRETE. Though there is no charge for this event, the Museum would like to keep track of attendees. Please click on the link below to send us an email, and please include the number of guests that will be attending with you.